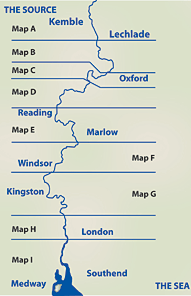 From Culham and Sutton Courtney to Pangbourne, the Thames flows through the Goring Gap, one of the most spectacular geological features along its length. Wittenham Clumps is the most prominent reserve to the west of London, standing on the Sinodum Hills. 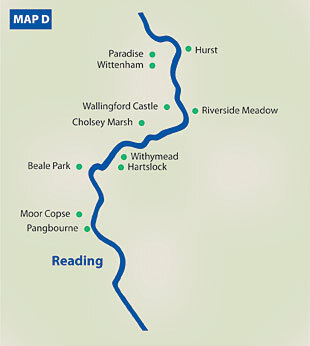 It is part of a chain of reserves managed by the Earth Trust between Wallingford and Abingdon. Hartsford also has a super view of the Thames Valley. Beale Park has much to interest everyone, and there are less well-known gems like Withymead.